Until now, scientists in regenerative medicine – a field positioned at the crossroads of biology and technology – have been successful in printing only simple tissues without blood vessels. 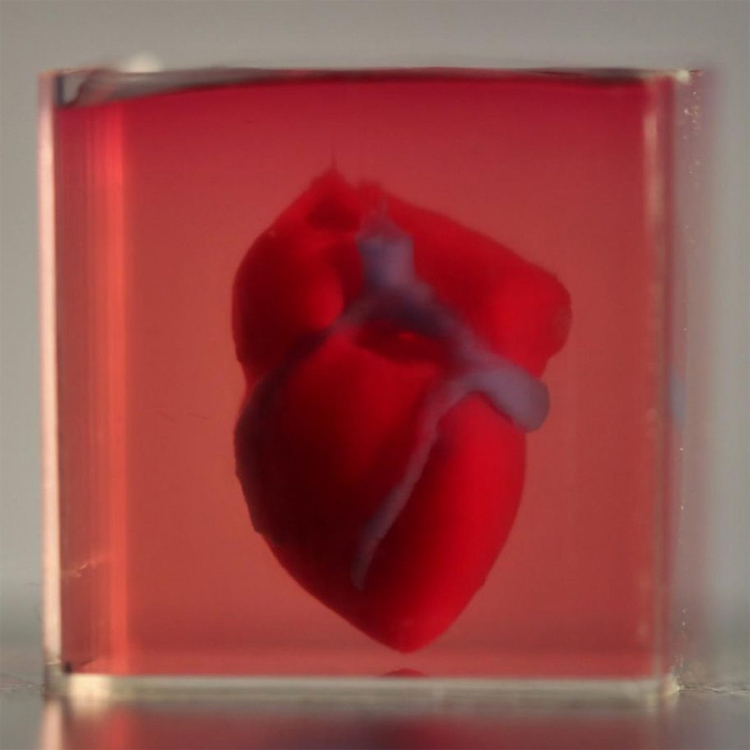 "This is the first time anyone anywhere has successfully engineered and printed an entire heart replete with cells, blood vessels, ventricles and chambers," says Prof. Tal Dvir of Tel Aviv University's (TAU) School of Molecular Cell Biology and Biotechnology, who led the study. Heart disease is the most common cause of death among both men and women. Organ transplantation is currently the only treatment available to patients with end-stage heart failure. Given the dire shortage of donors, the need to develop new approaches to regenerate the diseased heart is urgent. "This heart is made from human cells and patient-specific biological materials. In our process, these materials serve as the bioinks, substances made of sugars and proteins that can be used for 3D printing of complex tissue models," says Prof. Dvir. "People have managed to 3D-print the structure of a heart in the past – but not with cells or blood vessels. Our results show the potential for engineering personalised tissue and organ replacement in the future." "At this stage, our 3D heart is small – the size of a rabbit's heart," explains Prof. Dvir. "But larger human hearts require the same technology." For the research, a biopsy of fatty tissue was taken from patients. The cellular and a-cellular materials of the tissue were then separated. While the cells were reprogrammed to become pluripotent stem cells, the extracellular matrix (ECM), a three-dimensional network of extracellular macromolecules such as collagen and glycoproteins, were processed into a personalised hydrogel that served as the printing "ink." 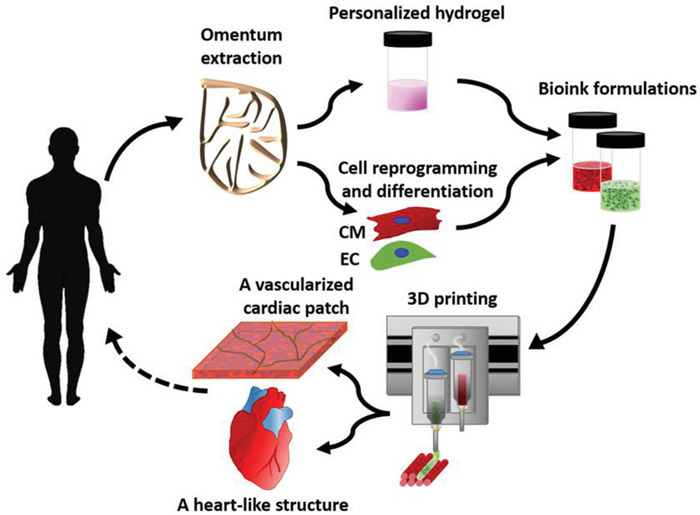 After being mixed with the hydrogel, the cells were efficiently differentiated to cardiac or endothelial cells to create patient-specific, immune-compatible cardiac patches with blood vessels and, subsequently, an entire heart. The full details are published today in the journal Advanced Science. "The biocompatibility of engineered materials is crucial to eliminating the risk of implant rejection," he explains. "Ideally, the biomaterial should possess the same biochemical, mechanical and topographical properties of the patient's own tissues. Here, we can report a simple approach to 3D-printed thick, vascularised and perfusable cardiac tissues that completely match the immunological, cellular, biochemical and anatomical properties of the patient." The researchers are now planning to culture the printed hearts in the lab and "teach them to behave" like hearts, Prof. Dvir says. 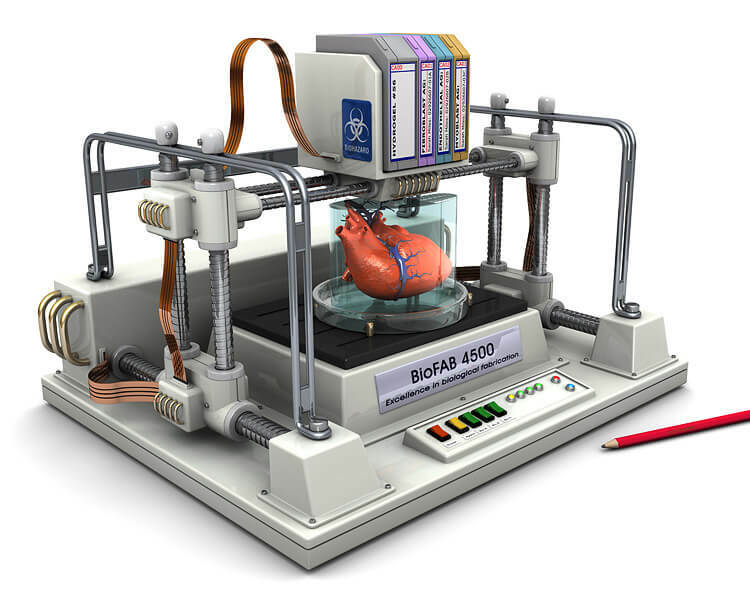 They then plan to transplant the 3D-printed organ into animal models. A human-sized heart might take a whole day to print and would require billions of cells, compared to the millions used to print these mini-hearts, he said.